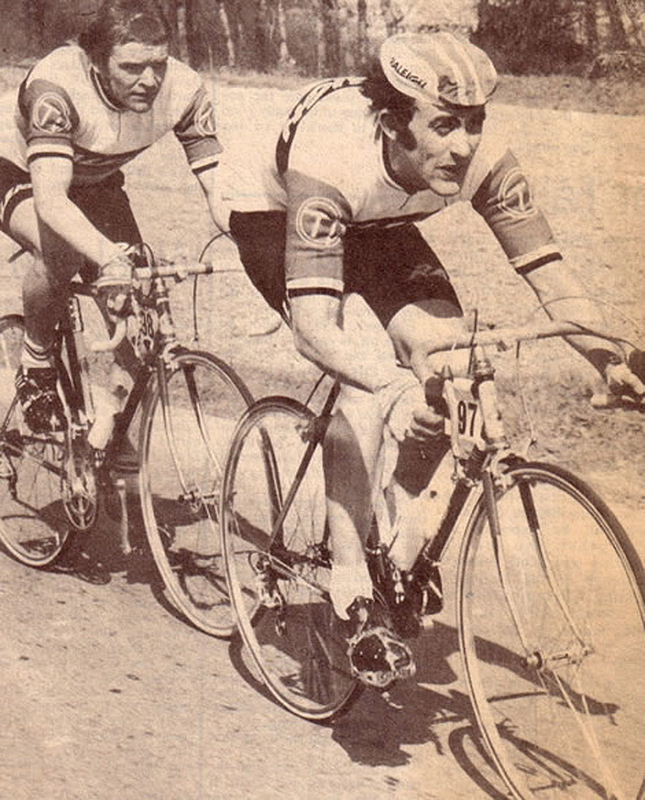 Retro PEZ Talk: It’s hard to believe that it’s 40 years since UK bike fans read the news that ‘wunderkind’ Dave Lloyd wasn’t going to achieve his dream of riding the Tour de France, in fact, his professional career was over due to a congenital heart complaint. Ed Hood had a chat with Dave to hear all about life then and now. All photos from Dave Lloyd’s personal collection by various photographers. 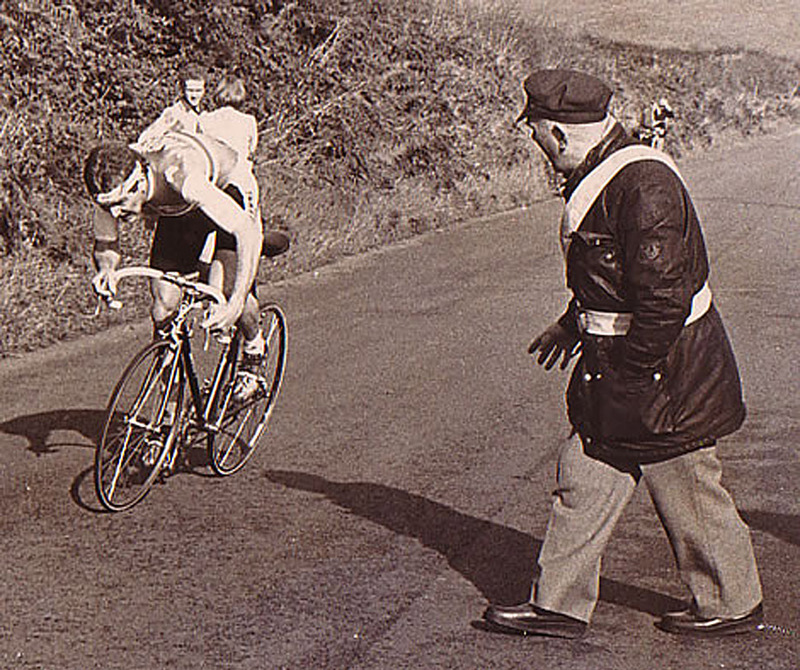 As a 40/50 a day chain smoker, he got into cycling late and within three seasons had finished top ten in the Milk Race, Tour of Britain, then one of the world’s premier amateur stage races. 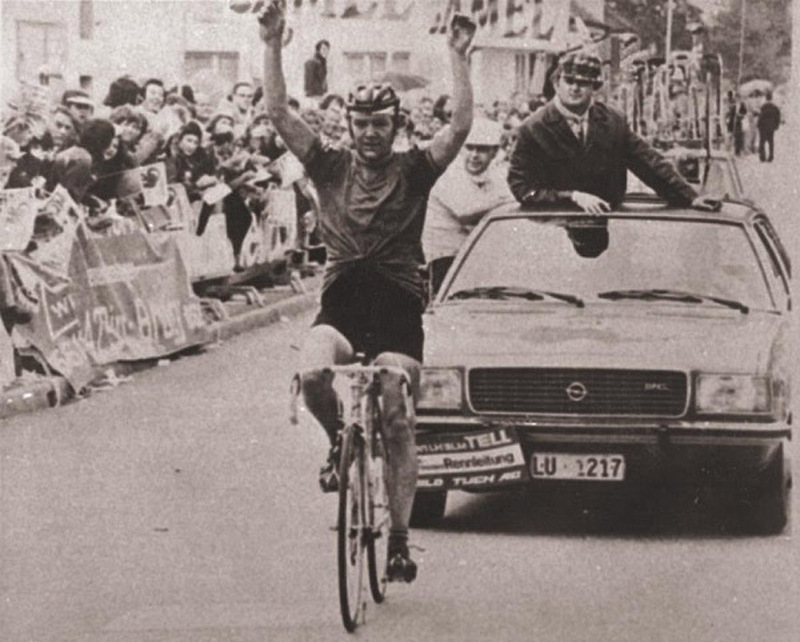 That season, Olympic year 1972, he also won the GP William Tell in Switzerland, another of the world’s top amateur stage races and a ‘tune up’ for the Games in Munich. 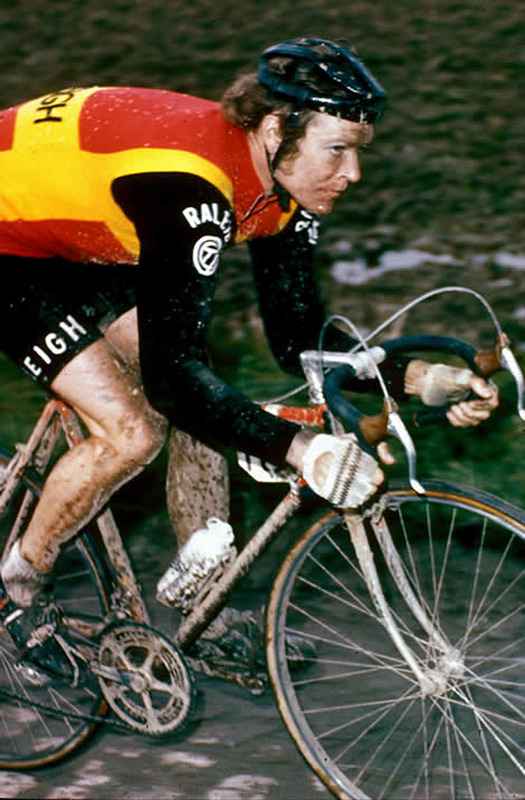 In 1973 he turned professional for TI Raleigh and spent three years under the iron fist of Peter Post, achieving some very solid results along the way despite the strict hierarchy within the team which didn’t allow for British domestiques to grab too much glory. But there was light at the end of the tunnel in the promise of a Tour de France ride to back Dutchman Hennie Kuiper’s ’76 victory bid – alas, it was not to be due to his heart problem. That should really be the end of the story. . . But defying Scott Fitzgerald’s oft quoted mantra that there are ‘no second acts to American life’ – but perhaps that’s because Lloyd is a Welshman – a whole new chapter was about to be written. . . 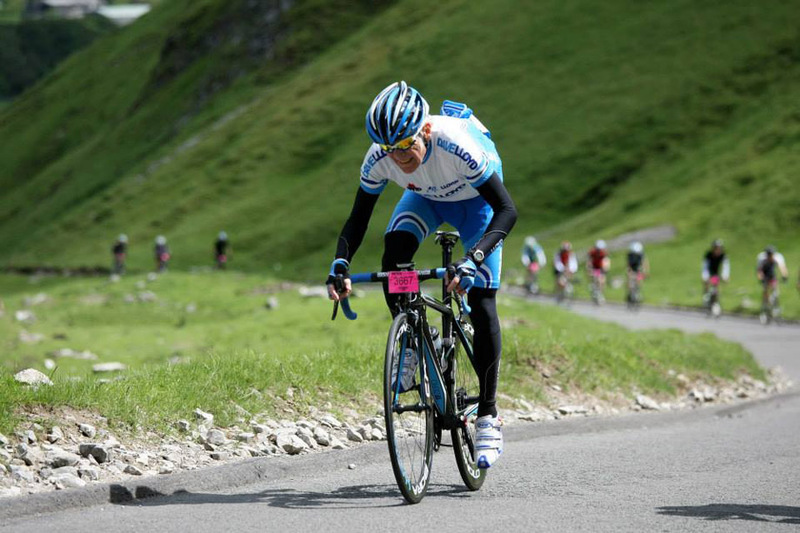 Check out his subsequent time trial stats as a re-instated amateur in the UK: 133 starts with 125 wins and eight second places – with 97 course and 94 event records along the way. Plus winning all the “Classic” TT’s and two National 25 mike Champs .It was a golden age for British time trialling with Lloyd having to contend with colorful rivals like Phil Griffiths and Darryl Webster, Tony Doyle and Ian Cammish; not just on the bike but jousting verbally too in the pages of ‘Cycling Weekly’ the main cycling news source in the UK at that time. High time we spoke to the now 67 years-old Lloyd who’s still riding sportives at the highest level and running his coaching business. 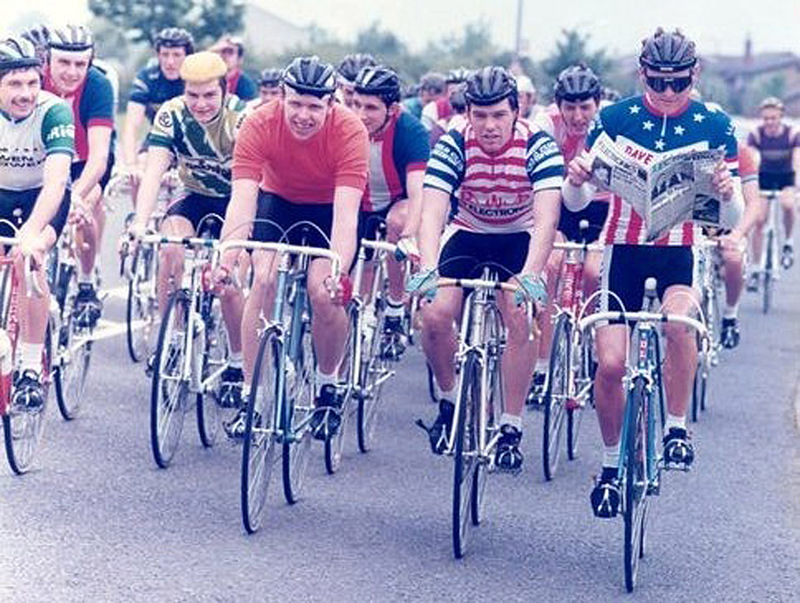 PEZ: You came late to cycling, Dave – never racing as a schoolboy or junior? Dave Lloyd: No, I was working as a lab technician; I’d run cross country as a schoolboy but hadn’t really trained – I didn’t know what training was – then I started smoking, I was on 40/50 a day and decided I had to quit, so bought a bike off a guy at work for five pounds and started commuting by bike. I joined a cycling club, the Liverpool Century but didn’t get the best advice on my position and had bad knee pains. Someone suggested I contact Eddie Soens, the legendary coach and soigneur who was behind Liverpool’s Kirkby Club (perhaps the number one club in the UK at the time, ed.) – but Eddie was like a god in the area and it took me three weeks to pluck up the courage to call him. I went to see him and I think he lowered my saddle by about three inches – even now my knees are still not right! He took me under his wing and he became like a father figure to me – I stared working with him in 1970 and in 1971 I rode the Worlds then won the GP Tell in 1972 and made the Olympics. Whilst some say he ‘broke’ as many riders as he made, he instilled great confidence into me and was a terrific coach and mentor. When he died, it was late in my career but it was still a terrible loss for me and the sport. PEZ: The GP Tell, you beat some really hand boys there – Jerzy Zwirko, the Pole; Freddy Maertens and Louis Verreydt from Belgium and Frenchman Regis Ovion – the latter two both world champions. It was a 10 day race and hotly contested – it was one of the final tune ups for the Munich Olympics – I won two stages, including the final 35K time trial. The win set me up as a favorite for the Olympic Road race but I ended up on the deck – but it was also the reason I got a pro contract for 1973. PEZ: You were three seasons with Raleigh – what was your hi-lite? The Tour of Switzerland in 1975, I’d have been top four on GC in that had our manager, Peter Post not made me sit up and wait for Didi Thurau. (The Swiss Tour was generally regarded as the fourth biggest stage race in the world after the three Grand Tours, during that era, ed.) I was in the break with Merckx and Co. but had to wait by the roadside for three minutes for Thurau – but for that I’d have been fourth on GC. 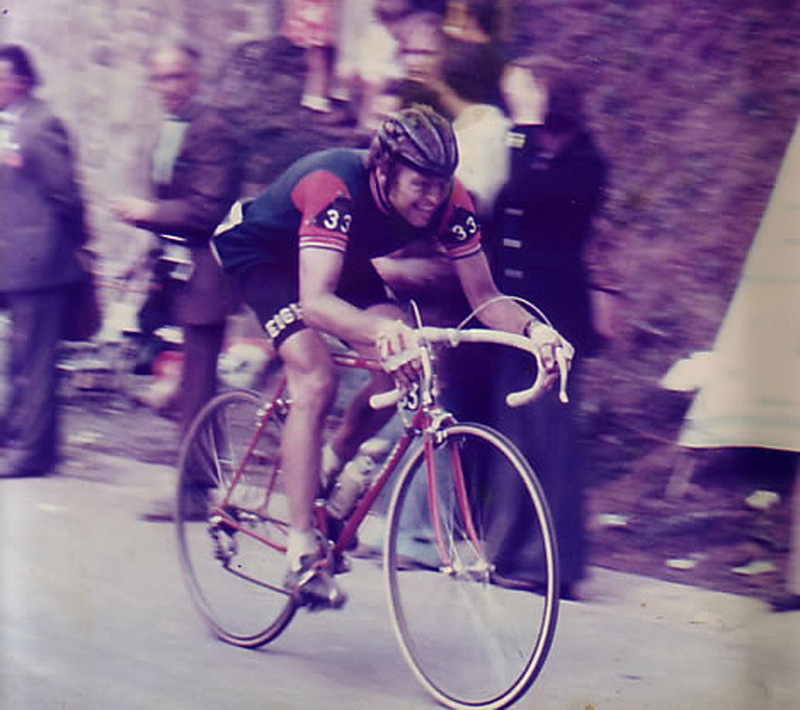 That was the race where I realized I had the potential to compete with the best; I was fifth in the time trial – the first three were: Roger De Vlaeminck, Eddy Merckx and Roy Schuiten. I remember being in the break with Merckx and he passed me a can of Coke – I was so chuffed I kept the can! PEZ: You and Mr. Post didn’t get along, did you? The man had me in tears a few times, if it hadn’t have been for the support of my wife, Chris, I’d have walked away. Thurau was his blue eyed boy and of course he was German – but one of the other big stars in the team, Jan Raas didn’t like Germans, it was all very political. Post didn’t like the English, he thought we were weak and didn’t understand bike racing. PEZ: It was a heart complaint which ended the first part of your career? It’s a congenital thing I still have it and have learned to live with it; it’s an electrical problem – I get it every day but it’s not life threatening. Of course, back then things weren’t as sophisticated or advanced and I couldn’t get a pro license because they thought it was too dangerous for me to race. The thing is that I exacerbated it by training like a maniac all through the winter. I’d had glandular fever and didn’t recover properly from it but trained really hard, my wife warned me but I didn’t listen, I was obsessed with riding the Tour. . .
PEZ: Three years out then you came back as an amateur. I’d started to go to the gym to prepare for a ‘Local stars of sport’ competition and Eddie found out. He rang me and said; ‘what’s all this about?’ I explained to him, we started working together again but it was nightmare with the Federation trying to get reinstated as an amateur – so many rules! When I started racing again and winning as an amateur the drugs test guys were all over me – they thought I was using kit from the pro peloton but I never touched the stuff. I couldn’t live with myself if I did. When I won the Isle of Man Mountain Time Trial in 1980 and beat Laurent Fignon by six-and-a-half minutes into second place (Lloyd, riding for Birkenhead North End-Issy Crown at the time, recorded 1:33:50 for the 37.75 mile mountainous circuit of Mark Cavendish’s home island to Laurent Fignon, riding for the French national amateur squad’s 1:40:22, ed.) they had me naked to pee into the sample bottle – but of course I was clean. PEZ: 133 rides, 125 wins and eight second places; 97 course records and 94 event records over six seasons in time trials – how did you maintain your motivation? It was just great to be back and winning again – bike racing gave me one of the worst days of my life when I had to quit my pro career but it gave me great days too; I saw the world as an international amateur and then when I was time trialling again I built a following who used to come to see me race, it was great, I loved it. When I was winning all those time trials some folks started saying that I was; ‘just a time tester’ and couldn’t do anything else. I got tired of this and spoke to Eddie; I entered the 1982 Girvan Three Day stage race and won the GC, points and mountains – that was a tough race, at Easter time, so cold up there in Scotland but that ride shut a lot of people up. PEZ: You were known for your bikes and clothing being innovative back then. My wife Chris and I were the first to come up with the term ‘skinsuit’ – I was one of the first to ride in one. I wish I’d invented tri-bars mind you! When it comes to cycling and equipment I’m still looking, learning. . .
PEZ: You turned pro for a second time. . .
That was a mistake, the shop we had was suffering because of the recession and I’d hoped to subsidize the shop by riding as a pro with Birmingham Executive Airways but it was a mistake. PEZ: You rode track, road and time trials – which was your favorite discipline? PEZ: And you’re still coaching and on the bike? Yes, I do 25,000/30,000 miles each year (no misprint, twenty five to thirty thousand, ed.) there’s never a day in my life when I get up and don’t want to go out on my bike. I do one to one coaching with riders and organize training camps, I’m involved with Polka Dot Cycling and their training camps in Tenerife. 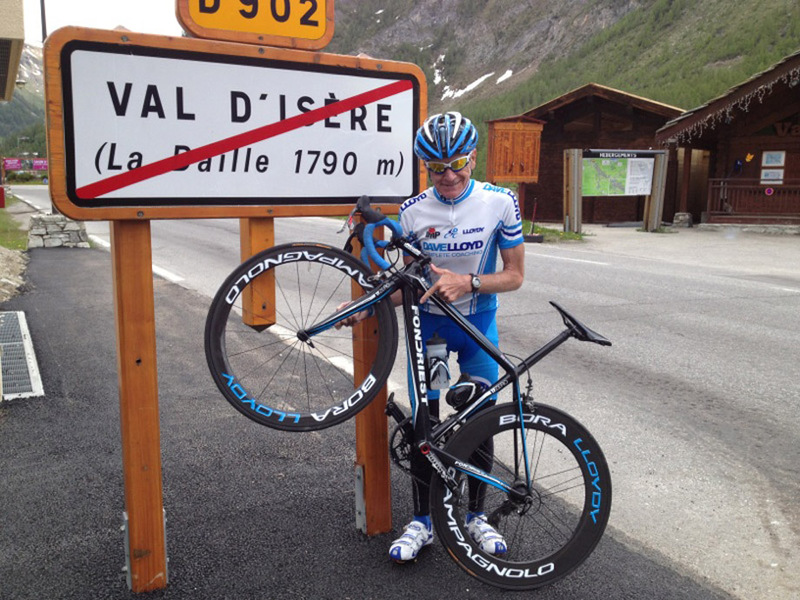 And I’ve been riding sportives; I’ve twice won my age category in the Marmotte and rode the Maraton dles Dolomites – but I didn’t expect that one to be so big or hard. There are 40,000 participants and helicopters up to provide TV images – it’s massive. No time for those! There’s no re-wind button in life. Life’s so damn short, you can’t change it; I was devastated when I had to leave Raleigh but I grabbed the next things that came along. I have a loving wife , Chrissy, who’s been my rock through everything and I have a wonderful daughter, Holly and now, a lovely grand daughter, Hattie, who I’m looking forward to watching grow up – it’s a great life! ‹ ALL SET FOR 2017 .. YOU CAN GET ALL THIS FROM DAVE !